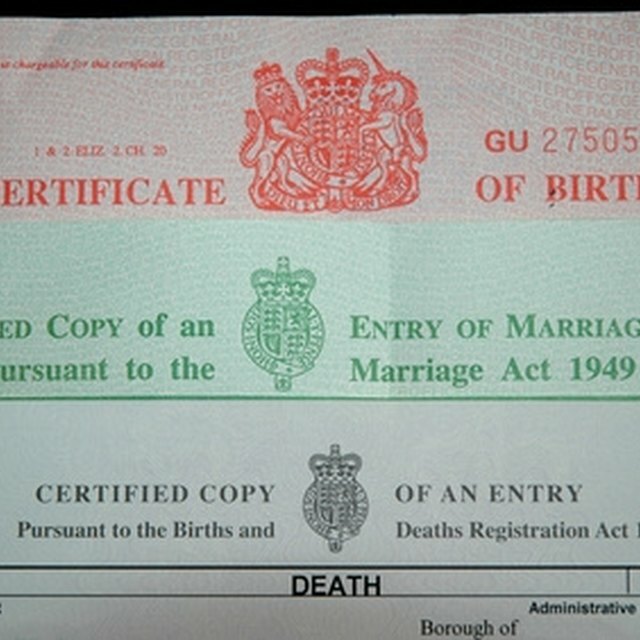 It is always helpful to have a certified copy of your birth certificate ready at all times. Most states require a copy of your birth certificate when applying for a marriage license, a driver's license, enrolling a child in school or a passport. It is an important legal document that establishes who you are. Whether you have lost your original birth certificate or just need an additional copy, you can request 1 by following certain steps. Go to the county recorder's office in the county where the person was born. Complete the required application with as much information as possible. You may be required to provide photo identification. You will receive the birth certificate immediately. Go to the Office of Vital Records or Public Health Department website for the state where the person was born. Download an application from the website or request it by phone. Complete as much information as possible. Some states require a notarized sworn statement verifying the person requesting the certificate. Pay the necessary fees. Mail the application and payment to the Office of Vital Records or Public Health Department in the appropriate state. A complete list of addresses for all 50 states can be found on the Centers for Disease Control and Prevention (see link in Resources). Go to the Office of Vital Records or Public Health Department website for the state where the person was born. Complete as much information as possible. Submit the application. In some states, you can use this process to apply by fax. Pay the required fee by credit card. You can also use a certificate service, such as VitalChek, to request a certified copy of a birth certificate, although an extra fee may be required (see link in Resources). If you want a certified copy of your birth certificate quickly, it is best to go to the county recorder's office. In most states, you can pay extra for expedited service.